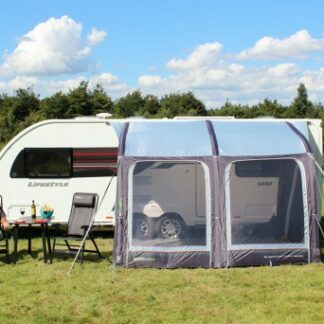 The Sunshine Air Pro 400 is your traditional sunshade made even simpler and easy to set up with the Kampa Airframe and Weathershield Pro fabric. 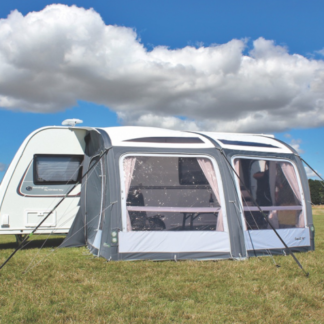 After a success launch in 2018, the E-Sport Air 325 is a great option for your caravan as it is lightweight, easy to inflate and provides you with plenty of living space. 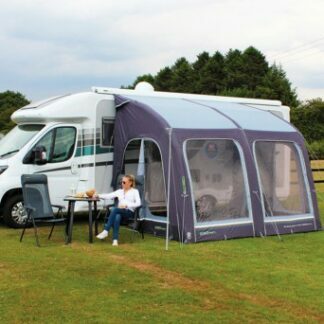 After a success launch in 2018, the E-Sport Air 325 L is a great option for your motorhomes as it is lightweight, easy to inflate and provides you with plenty of living space. 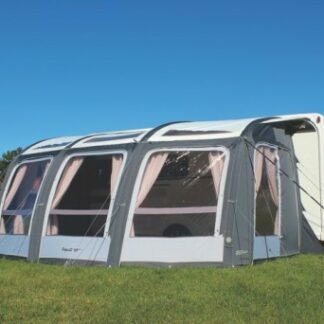 Brand new for 2019, the Eclipse 325 Pro is a modern take on the traditional caravan awning, this premium single inflation point awning is made from Outdoor Revolution's 'Pro 800HD' material. 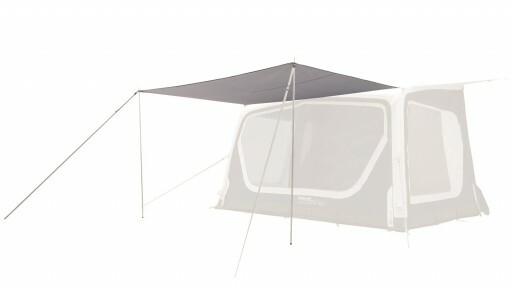 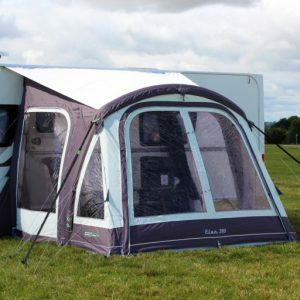 The Outdoor Revolution Elan 280 is a great small, air-porch awning. 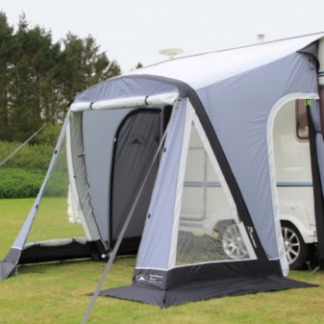 This lightweight and compact caravan awning is perfect for smaller families or couples looking to extend their caravan space. 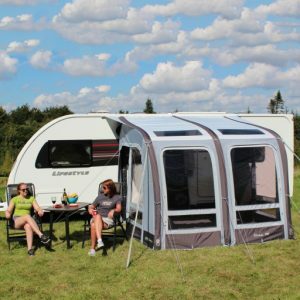 Brand new for 2018, the Outdoor Revolution Elise 260 is a luxurious caravan awning which allows you extend the space of your caravan. 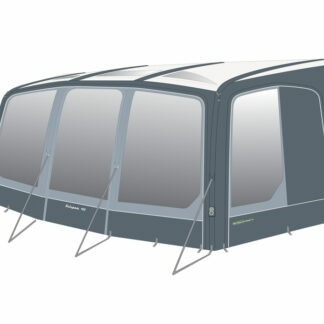 A conservatory for the side of your caravan, the flexible Outdoor Revolution Esprit 420 Pro Air Caravan Awning is simply the ultimate single-inflation point, caravan air-awning on the market. 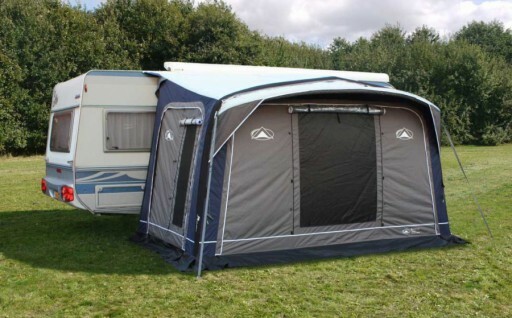 The Pebble 300A is an easy to pitch porch awning, which is the smallest in the collection by Outwell, making it perfect for smaller caravans and short breaks. 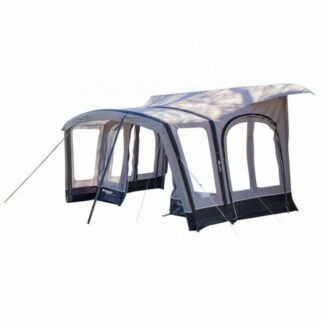 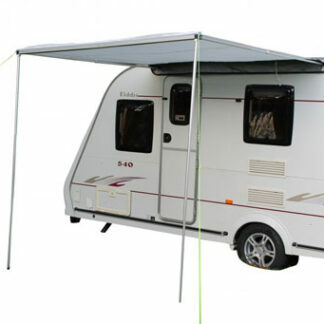 The Advance Air Porch Awning has the silhouette of a traditional awning. 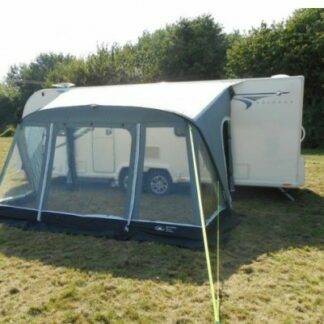 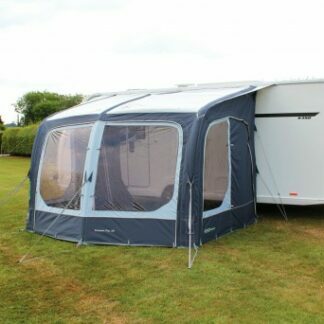 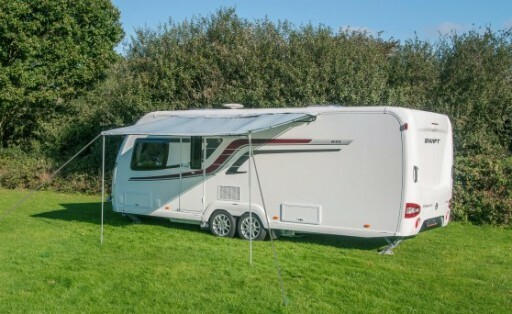 The Sunncamp Protekta 7 Roll Out Sun Canopy is the perfect 7 foot canopy for any caravan or motorhomes with a channel to slide onto. 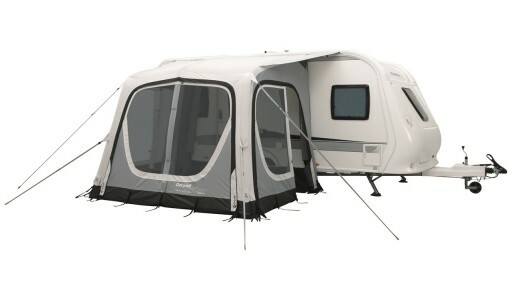 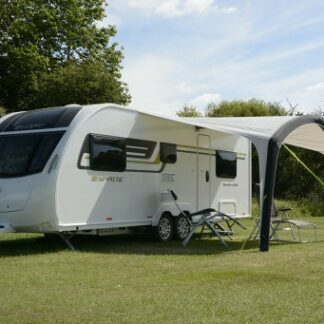 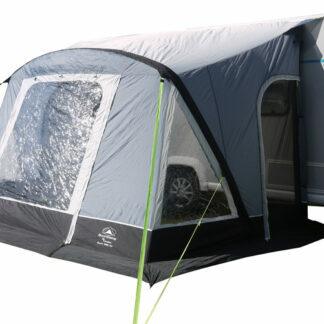 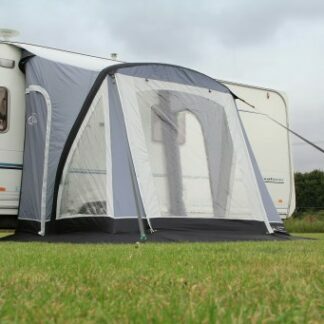 The Sunncamp Swift Air 260 is part of a brand new range of pole-less Air awnings incorporate similar features to the poled models, now with the additional benefit of Airflow. 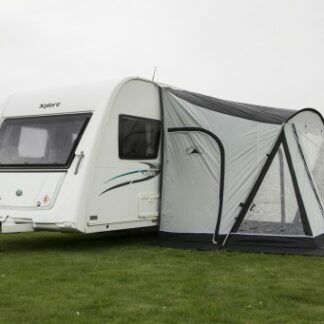 The Sunncamp Swift Deluxe 220 is a poled caravan awning at a competitive price, which is simple to use and give you lots of extra sheltered space. 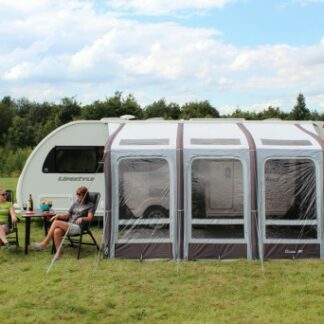 The new Sonoma expands our luxury AirAwning® range for 2017.